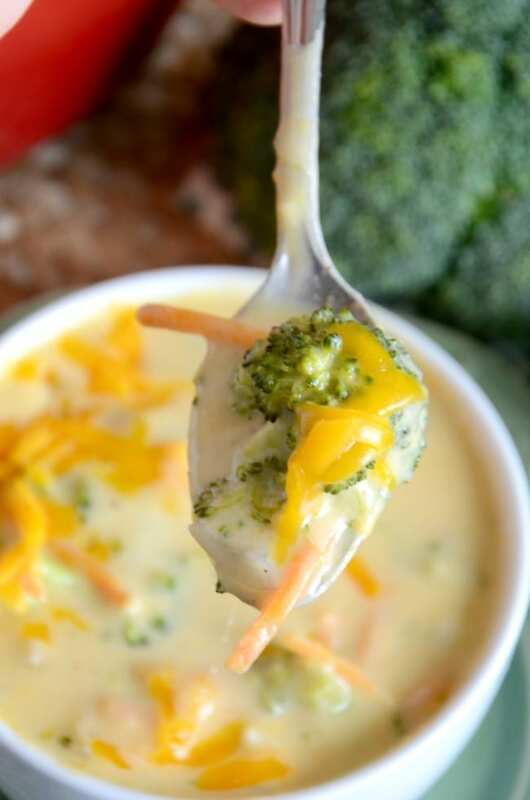 Looking to warm up with a healthy version of a classic comfort food? 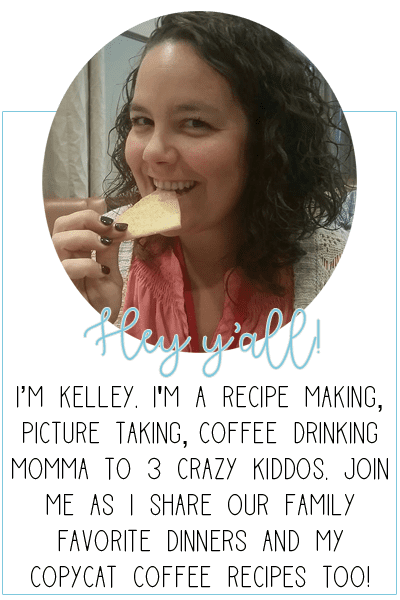 Then you need the best turkey chili recipe! 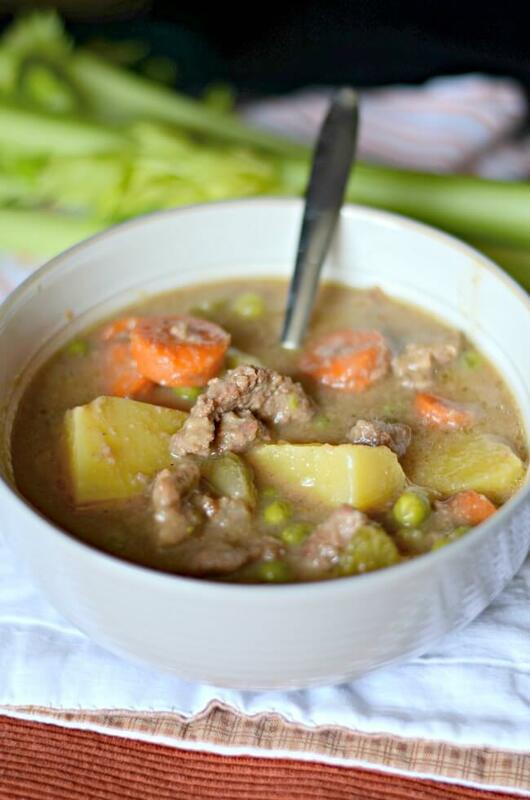 It’s loaded full of healthy ingredients and can be made quickly or using your slow cooker. You are going to love this quick and easy dinner idea! I don’t know how it happens but when the temperature starts to drop a little all I can think about is soup, stews and chilis. It’s like my brain immediately forgets about salads and pastas and focuses on winter weather food. And I’m not talking like a huge drop in the temperature. Oh no. I start to fell soup-y when it goes down to the 60s. Please tell I’m not alone! 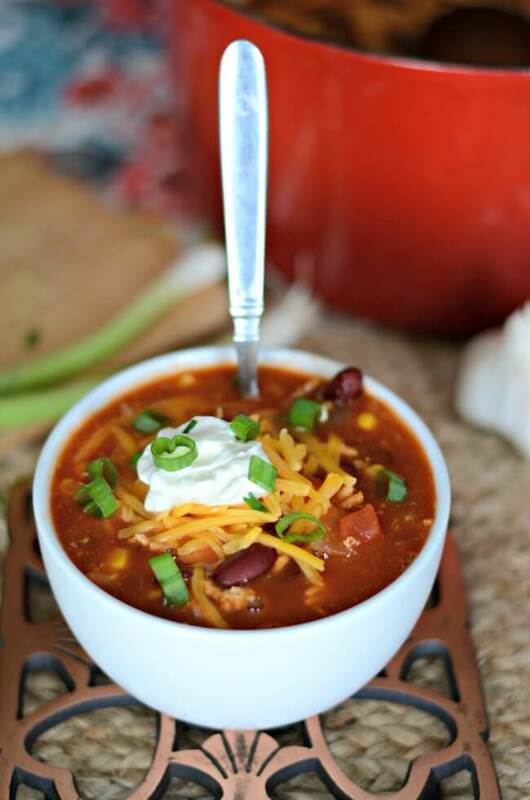 If you are a soup, stew or chili fan then let me introduce you to the best turkey chili recipe. Seriously, it’s down right delicious. It’s healthier due to the ground turkey but still packed with flavor. Let me show you how to make it on the stove top or even in your crock pot. 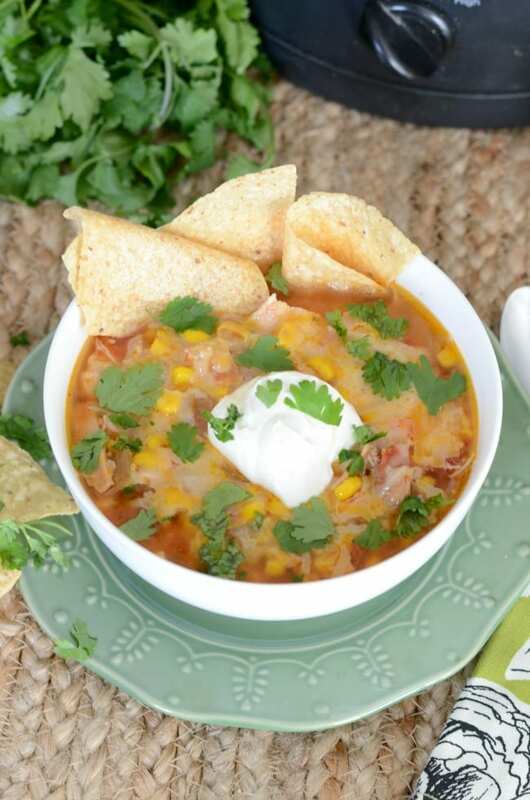 What is healthy turkey chili? 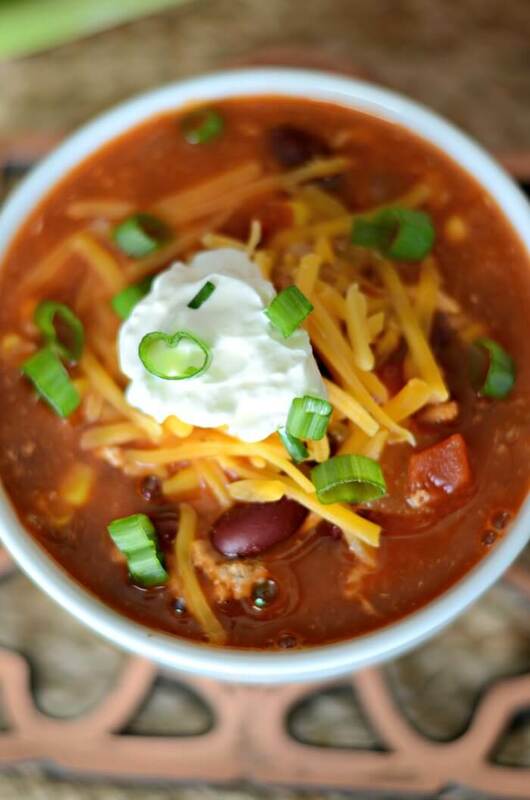 This turkey chili recipe is the ultimate combo of healthy comfort food meets quick and easy dinner. Traditional chili is made with ground beef this this healthified version uses ground turkey, which is leaner than beef. This recipe also calls for beans, which is always a much debated topic in the chili world. Some people believe authentic chili is made without beans. I really enjoy beans so all my chili recipes have them. If you are team no beans, are doing Whole30 or are low carb, feel free to omit them. 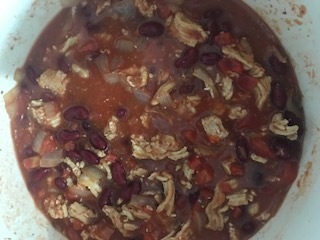 The chili is delicious with or without beans. cheese, sour cream, chives, etc. Let’s start with the ground turkey. You should be able to pick this up at any grocery store that sells meat. Any ground turkey works in this recipe, but the leaner the better. Any type of onion will do here. I prefer sweet onions but red, yellow or even shallots will do. 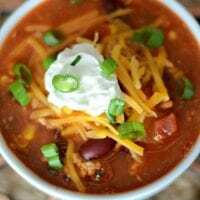 You are going to need three types of tomatoes for this turkey chili recipe – diced tomatoes, tomato paste and tomato sauce. I used canned tomatoes but if you have the fresh stuff, feel free to use it! 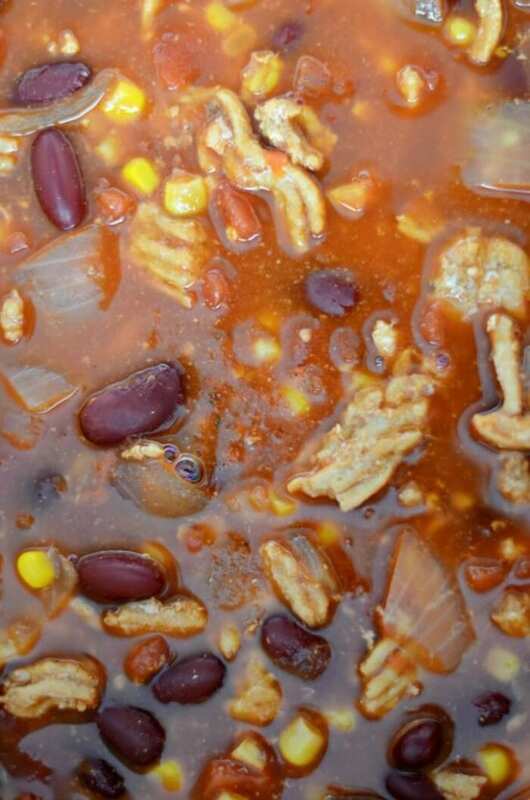 I love adding corn to my chili as well. It gives it a little more texture and makes the chili a little heartier. I normally use frozen corn and toss it in at the end. 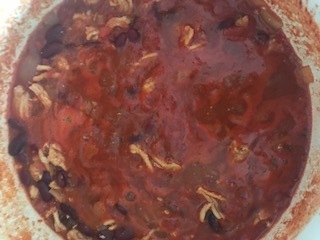 Chicken broth and spices round out the ingredients need to make this turkey chili. I like to use a good amount of spice in my turkey chili since the meat doesn’t have as much flavor as beef. I prefer garlic powder, Nature’s seasoning, onion powder, chili powder and a little cumin. I’ll share what I use in mine but you are more then welcome to experiment with spices to find what you prefer. The cheese, sour cream and chives are all optional toppings. Put whatever you like on top of your turkey chili. I like corn chips or crackers on top too! 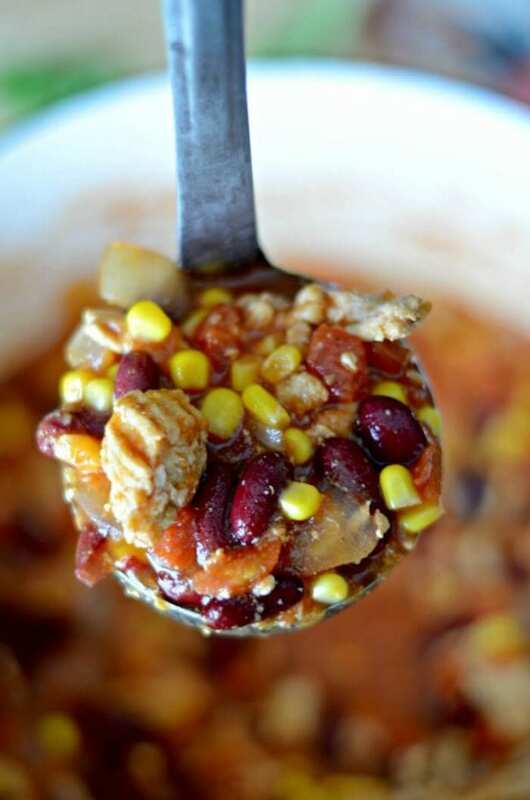 How do you make healthy turkey chili? There are a few different ways to make this turkey chili. You can do it on the stove top or you can use your slow cooker. Both ways are essentially the same except how long and where it cooks. I love using my dutch oven to make this recipe but it can also be done in a regular pot too. Regardless of which you use, the recipe starts out the same. To start you saute your diced onion and garlic, brown your ground turkey and add your spices. Use a skillet if you plan to use you crock pot. If you are going to make it on the stove top, use your dutch oven or large pot to cook the turkey and onion. 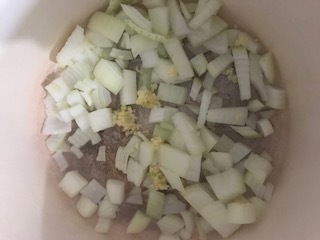 After you have brown your meat and your onion is cooked, transfer everything into a crock pot or slow cooker. After that you just need to pour in your cans of tomatoes, broth and beans into your crock pot. Allow to cook on low for 4-6 hours or high for 2-4. The process to make this turkey chili on the stove top is virtually the same as if you made it in the slow cooker. The advantage of making it on the stove top is that this can be a one pot recipe. Yessss to less dishes! Brown your ground turkey in the same pot that you toss all the other ingredients in. I prefer this way but if you don’t have time to let it simmer on the stove then the slow cooker method would be better for you. Yes, this is a hearty recipe and can be eaten without any sides, but here are a few suggestions just in case. 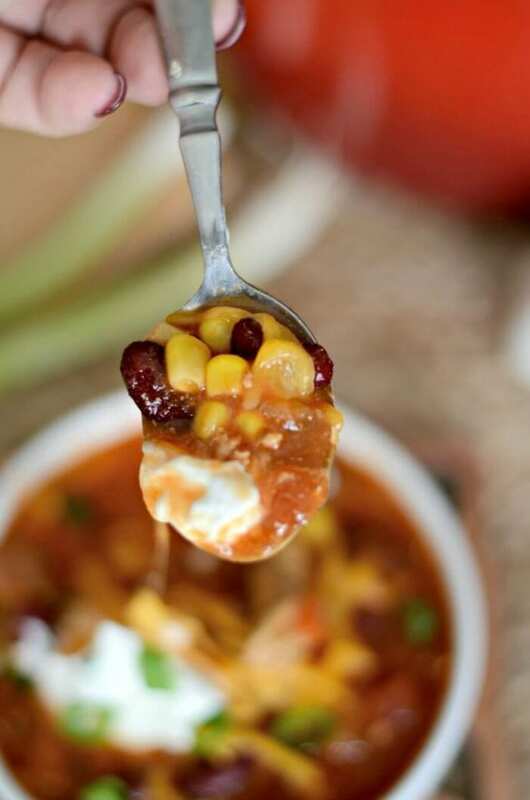 Comfort meets healthy in this easy turkey chili recipe. In a large pot or skillet, add the butter, onion and garlic. Allow to cook for 5 minutes, or until the onion is translucent and fragrant. 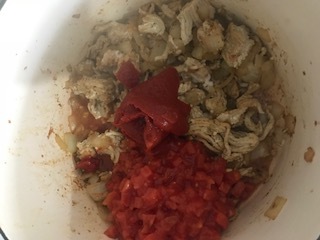 Add in the ground turkey along with the spices. Cook for 5ish minutes until the internal temperature has reached 165 degrees F or there is no longer any pink. 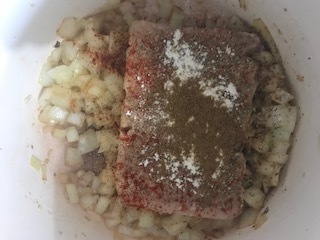 If using a slow cooker, remove meat and onion mixture and place at the bottom of the slow cooker. If using a pot or Dutch oven on the stove top, leave it there. Add in the tomato paste and coat the meat mixture with it. Pour in the tomato sauce and mix thoroughly. 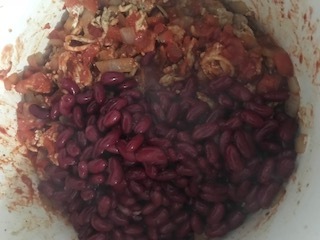 Add in the diced tomatoes, chicken broth and kidney beans. If using a slow cooker, allow to cook for 2-4 hours on high or 4-6 hours on low. If cooking on the stove top, bring to a boil, reduce heat and allow to simmer for up to an hour. 30 minutes before serving add in the corn. Allow to cook through. Spoon into bowls, add toppings, allow to cool slightly and enjoy! This data was provided and calculated by Nutritionix on 1/30/2019.